It was a privilege to help Martin Olsen tell his life story, and share the legacy of a life well-lived with the reading public. 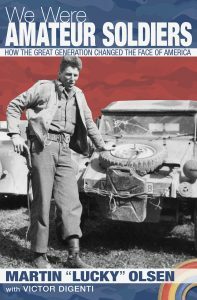 We Were Amateur Soldiers: How the Great Generation Changed the Face of America is more than another WW II memoir. Marty’s life is a metaphor for how our nation met its greatest challenges—the Great Depression and World War II—and went on to build an economic powerhouse. And now I’ve learned that the book we co-wrote is a finalist in the prestigious Royal Palm Literary Awards in the autobiography/memoir category. The final winners will be announced at the RPLA Banquet on Saturday, October 22nd at the Florida Writers Association Annual Conference. Until then, I’m more than satisfied that Marty and his biography is a winner in every way. 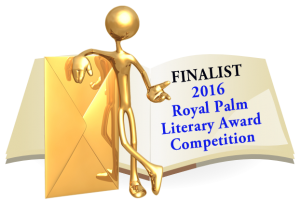 Find out for yourself why the judges selected We Were Amateur Soldiers as a finalist. The book is available in both print as a trade paperback and as a digital ebook from Amazon.com.